Only a few green spots will remain. 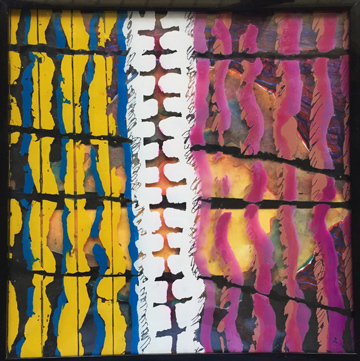 New experimental encaustic work by Janet Inez Adams, MFA, has been juried into MELTING POT/MELTING POINT, an international exhibit. This exhibit runs from September 28th until October 21, 2018, at the Museum of Encaustic Art, 632 Agua Fria Street in Santa Fe.